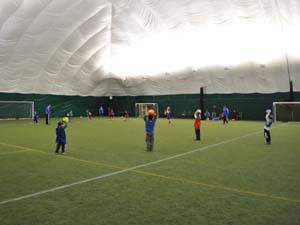 Armonk Indoor's turf field is available for private rental from September through May, 6:00 a.m.-11:00 p.m. for team training, league play, or tournaments, as well as parties and events. 1/3-, 1/2-, 2/3-, and full-field rentals can be booked for a specific day and time for an entire session, or for a single day. Trainers are also available to assist your team. Download the field rental form or contact us at info@armonkindoor.com to reserve your playing space. Listed below are the rates for the 2018/19 season. Peak hours are during the Winter 1 and 2 sessions, 3:00-10:00 p.m. on Monday through Friday and 8:00 a.m.-9:00 p.m. on Saturday and Sunday. 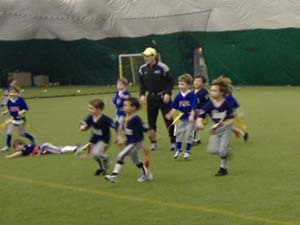 A discount is offered to those who book multiple sessions or organize a league. Note: These rates do not apply to rentals for parties and events.